Hopefully I can answer a few of your questions. I was a total newbie last year so I feel your pain. It's a great system, but it's not an "easy button" for surfing. The surf plates deploy to your default settings set in the autowake system. If you found a certain percentage of deployment more to your liking you can go into the defaults and change it so it always deploys to the same percentage. In order for autowake to fill and drain the bags you still have to throw all the ballast switches to the fill position (at least I think this is the case) I haven't been on the boat for a few months. As far as push goes when it's just me surfing and my wife driving I have learned that I have to run slower 10.5ish also a lot of times i will run in manual mode with all ballast full to 100% and a 400lb floor bag on surf side and another 400lb bag in front walkway. 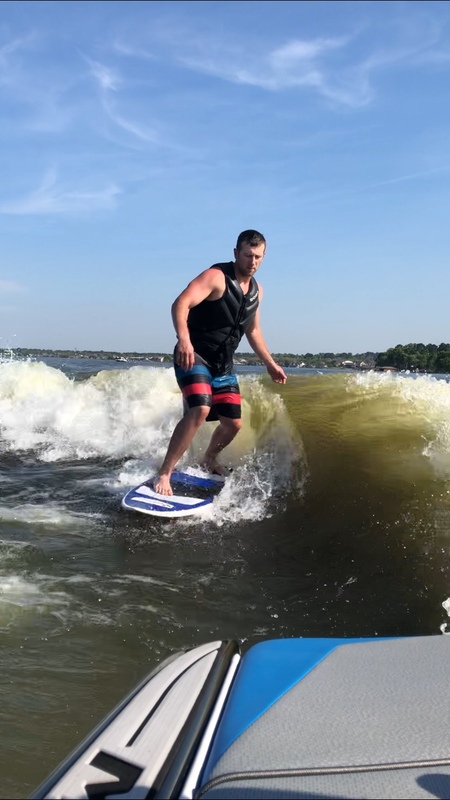 Had a supra/moomba rep suggest start in manual mode, play with your plates and ballast to get the wave like you want it. Then switch to autowake mode. Record pitch and roll settings then go in and set those to your default. Hope this helps. Keep playing with it your will like it once you get the hang of the system. Side note I run the stock 3k ballast and lacked push with just driver on the boat. Added 800lbs of floor sacs and woke it up a lot. So I’m not sure what year your boat is and what version of autowake you have because it will make a difference. I have a 2017 Mojo with the upgraded software that has the amplitude setting. On mine I can turn on autowake and set the amplitude for a certain %. Since I don’t have the draft sensor it defaults to measuring amplitude off of rear bag percentage. 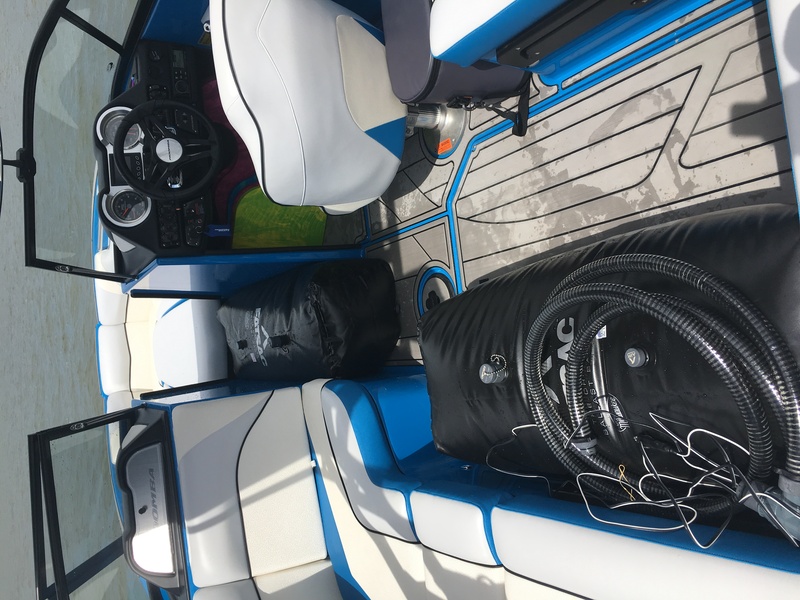 So for example if I am surfing and I turn on auto wake, select my surf side (goofy or starboard for me) then set the amplitude for 100% it will fill start filling the rear bags on its own to 100%. It will then fill the center tank/now bag just enough to achieve the desired pitch. The main issue with this you cannot always achieve 100% amplitude unless you have people you can move around or lead weight you can move because to achieve the roll it has to be heavier on your surf side. My autowake will tell me if it cannot meet my requested amplitude and to move weight to the side that needs it. I have 200 lbs of lead for this and o also ask passengers to move. I try to run close to 11 mph but if the crew is small sometimes I have to back it down to 10.7 or 10.5. Autoflow plate is set to 65 and center wake plate is all the way up at 0. I’ve found that if you deploy the center wake plate any it forces the bow down and causes the boat to dump water from the center tank/bow sack to achieve the pitch setting decreasing your overall displacement. I use the factory pitch and roll numbers as well. I’m getting in the water. I run the stock 900 lbs max surf rear bags, 400 bag under the cabin seats on each side, the stock hard tank and the bow sack, and 200 lbs of lead for 4,000 lbs total give or take. 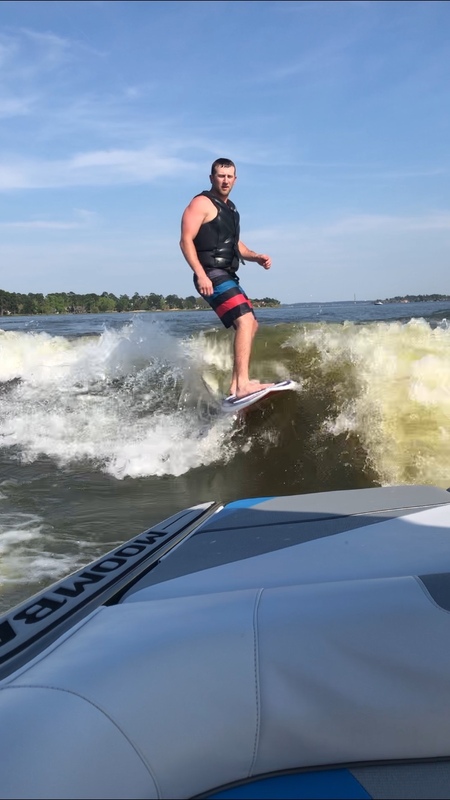 Here are a couple shots of my wave with this set up and 4 people in the boat.